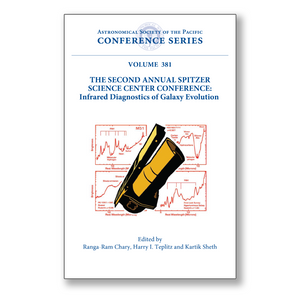 In November 2005, the 2nd annual Spitzer Science Center international conference was held in Pasadena, California, USA. The purpose of this conference was to provide an overview of the role that infrared imaging and spectroscopy play in revealing the nature of astrophysical environments. Particular emphasis was given to how mid-infrared spectroscopy can disentangle the contribution of star-formation and active galactic nuclei to the bolometric luminosity of individual extragalactic sources. The conference was motivated by the wealth of data from the first two years of operation of the Spitzer Space Telescope but included contributions from ground-based imaging and spectroscopy as well. A wide variety of astrophysical objects were covered, ranging from star-forming regions in local galaxies, including our own, to high redshift galaxies at the epoch of reionization. The conference included 14 review talks, 45 contributed talks, 112 posters, and a brainstorming discussion on what Spitzer should do next. The conference and these proceedings clearly highlight the fundamental role that the infrared plays in providing a more complete picture of galaxy formation and evolution over cosmic time.